Around the country and Canada, our wonderful trainers teach the Accredited Staging Professional Course. Virtually every week, often every day, I receive word from course participants about how much they loved their trainer. I’ve asked each trainer to introduce themselves This week. Today, Sandra Holmes will share a word about her background. I have resided in South Florida for the past 25 years after relocating from Michigan to start my career in the wireless industry. I worked in Sales and Leadership roles while working at AT&T. After my daughters Tina and Whitney were both off to college, I pursued my passion in Real Estate. 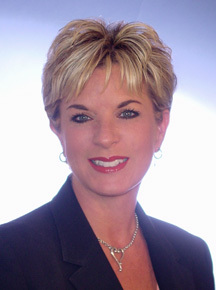 I became a Realtor® in 2005. I loved the real estate business and while working with buyers I noticed that many homes on the market would never sell because of the way that they showed. I knew there had to be something that the sellers could do to prepare their homes for sale. I researched the topic online and then took the ASP® Stager course with Stagedhomes.com in 2005. Shortly afterwards I became a Master Accredited Staging Professional™, personally trained by Barb Schwarz, the creator of Home Staging. I am the owner of Home Staging Concepts, the premiere Home Staging company in South Florida. I have, together with my team, staged over $950 million dollars in real estate since I created my business in 2005. I continue my education in real estate to keep current with the trends of today’s market. I currently serve as President Elect on the Board of Directors of IAHSP™ and have previously served as Director of Fundraising for Worldwide Staging Service Week and the International Association of Home Staging Professionals. I was also the Founder of the South Florida International Association of Home Staging Professionals Chapter and have held various board positions. I believe that continuing education is the key to success in the staging industry. In 2012, I earned the designation of ASP-SRS (Accredited Staging Professional – Senior Relocation Specialist) and ASP REO® (Accredited Staging Professional – Real Estate Owned). I also received the Barb Schwarz Staging Excellence Award. 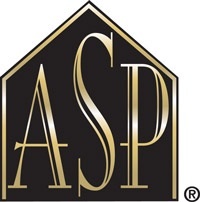 In 2014, I became a Certified ASP® Trainer for Stagedhomes.com. I am excited to teach new students across the world to become Accredited Staging Professionals.